California’s waters, a death trap: Uncovering the Golden State’s secret whale and dolphin massacre | "Global Possibilities"
Until the 1980s, fishermen who fished for swordfish off the coast of California used harpoon guns to reel in their prey. As the industry modernized, the guns were exchanged for drift gillnets — gigantic nets the size of the Golden Gate Bridge that hang vertically in the water. By 1985, the catch reached a historic high, with fishermen landing more than 2,000 metric tons of fish. But there was a tragic and under-discussed consequence of that approach. A drift gillnet catches far more than just the target fish. It scoops up any marine animal unfortunate enough to swim in its path, including whales, dolphins and marine mammals like seals and sea lions. Turtles, sharks, fish and even seabirds are inadvertently trapped and killed by these nets, which environmentalists have dubbed “invisible curtains of death.” California is the last state in the nation to permit this destructive, unsustainable fishing method. Turtle Island Restoration Project, a California-based international marine conservation organization, has been campaigning to end the use of drift gillnets, also called driftnets. Last year, they released a report titled California Driftnet Fishery: The True Costs of a 20th Century Fishery in the 21st Century that details the impact the state’s driftnet fishery has on marine wildlife. While the fishery’s primary target is swordfish, the report reveals a shocking statistic: Only one in eight animals caught by the fishery is actually a swordfish. The unlucky, non-targeted species trapped by the nets are known as bycatch. Over the past ten years, nearly a thousand air-breathing whales, dolphins, and sea turtles have drowned, while thousands of sharks (that depend on constant movement) have suffocated. In the last ten years, an estimated 26,000 sharks overall were caught by this deadly fishery, with nearly 10,000 simply being tossed overboard. The fishery was especially wasteful in its treatment of blue sharks. In the last decade, 8,186 blue sharks were caught, and an astounding 8,180 were discarded. Of those discarded nearly 5,313 were dead. The fishery also caught an astounding 8,000 common thresher sharks (a candidate species for listing under the U.S. Endangered Species Act) and is further jeopardizing shark populations. The report also found that, over the last decade, the fishery has killed around 900 marine mammals, among them bottlenose dolphins, gray whales, humpback whales, California sea lions and elephant seals. Remarkably, the California driftnet fishery comprises less than 20 boats, yet ranks among the worst 20 percent of all fisheries globally: The total combined bycatch of all the other fisheries on the West Coast would still not amount to the bycatch of this single fishery. Even more concerning is the heavy toll this fishery has taken on endangered species: One in every five animals caught in driftnets is listed as “threatened” on the Red List of the International Union for the Conservation of Nature. Over the past 10 years, more than 20 critically endangered leatherback and loggerhead sea turtles have perished in the deadly nets. The trouble isn’t limited to California. Drift gillnets are used around the world and have caused the unintentional deaths of an untold number of marine animals. In 2014, the Natural Resources Defense Council released a report, Net Loss: The Killing of Marine Mammals in Foreign Fisheries, which found a wide array of marine mammal species around the globe killed by the nets, from sperm whales in the Mediterranean, spinner dolphins in the Indian Ocean and false killer whales off the coast of Hawaii. “For marine mammal populations, the problem is truly global, with at least 75 percent of all toothed whales species (like dolphins and porpoises), nearly 65 percent of baleen whale species (like humpback and right whales), and more than 65 percent of pinniped species (like sea lions) suffering from gillnet bycatch over the past 20 years,” said NRDC spokesperson Kimiko Martinez in an email. In August, the National Marine Fisheries Service, the federal agency responsible for managing and protecting the nation’s marine resources, issued regulations prohibiting the importation of seafood from nations whose fisheries kill more whales and dolphins than federal standards permit. “U.S. trade partners will need to show that killing or injuring marine mammals incidental to fishing activities, or bycatch, in their export fisheries do not exceed U.S. standards,” the agency said in a press release. But while the federal government seeks to protect whales, dolphins and other marine mammals from unsustainable fishing practices in international waters, California has yet to take similar steps to protect these animals in its own waters. “The secret massacre off our California coast and slaughter of marine life is tolerated only to allow an economically marginal fishery to continue, even while costing taxpayers more than the value of the fish,” says Turtle Island. The new bycatch rules will have a global impact, forcing countries to ensure their activities are safer. But the rules will impact consumers as well. Following the rules’ five-year implementation period, shoppers will have a level of certainty that the seafood they eat isn’t tied to the wholesale slaughter of whales, dolphins and other marine mammals that is currently underway. The new rules are more than four decades in the making, and come after a slew of petitions and letters to federal lawmakers and the fisheries service from consumers and environmental organizations, as well as litigation. They could have been issued as early as 1973, the year after President Nixon signed into law the Marine Mammal Protection Act, which prohibits the taking of marine mammals and places a moratorium on the import, export and sale of any marine mammal within the United States. The MMPA also requires nations exporting fish to the United States to demonstrate that their fisheries meet U.S. standards for protecting whales and dolphins. Now, after 44 years, the U.S. government is finally implementing the law by establishing these new regulations. While environmentalist hailed the new rules for international fisheries, they only apply to nations seeking to export fish to the United States — not to California’s own deadly fishery. Senator Ben Allen (D-Santa Monica) has entered the breach by authoring SB 1114, a bill that seeks to phase out the use of mile-long driftnets in California waters and outlines a plan to transition to a new, more environmentally responsible fishing method based on deep-set buoy gear. Supporters of the bill sent more than 5,000 e-mails to the office of Senator Ricardo Lara (D-Bell Gardens), chair of the Senate Appropriations Committee. Nearly 27,000 people signed a petition that was distributed to the California Senate and lawmakers received hundreds of calls from concerned citizens. But though SB 1114 made it out of the Senate Natural Resources Committee, the bill didn’t make it out of the Appropriations Committee. In May, Sen. Lara didn’t allow the bill to go to a vote, thus ending the possibility of it becoming law this year. The stalling of the bill does not reflect the feeling of California’s voters. According to a Pew poll published in August, 86 percent of California voters who learned about the pros and cons of fishing with drift gillnets favor an outright ban on the controversial method. “The poll results align with our belief that the time has come for state fishery managers to reconsider their decision and stand with the strong majority of Californians who support the transition toward a better way of managing this public resource,” said Paul Shively, who directs Pew’s West Coast marine conservation efforts. Burdyshaw said the bill may be reintroduced in the state legislature’s 2017 session. 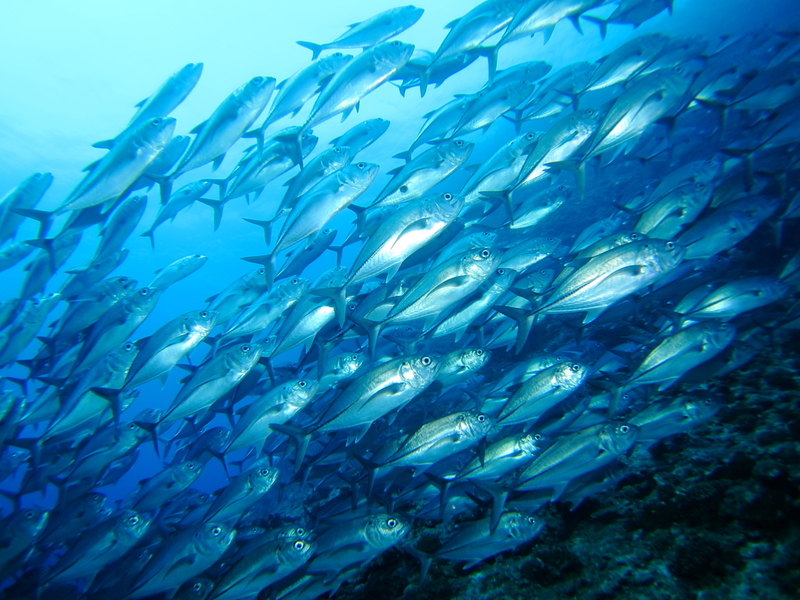 But part of that decision depends on whether the Pacific Fishery Management Council follows through with its recent move to federalize California’s driftnet fishery, a move that would squash attempts by citizens, environmental groups — and even the state legislature — to reform the fishery. The Council has jurisdiction over the more than 300,000-square-mile exclusive economic zone off the coasts of California, Oregon and Washington. In the meantime, Turtle Island “will closely monitor compliance to ensure the fewest dolphins and whales die in fishing nets to provide U.S. consumers with seafood,” said Turtle Island director Steiner, in an email. Over the years, California’s driftnet fishery has been closed numerous times to aid the survival of certain species, such as common thresher sharks and leatherback and loggerhead turtles. But looking at the bycatch numbers, these seasonal closures just aren’t good enough. 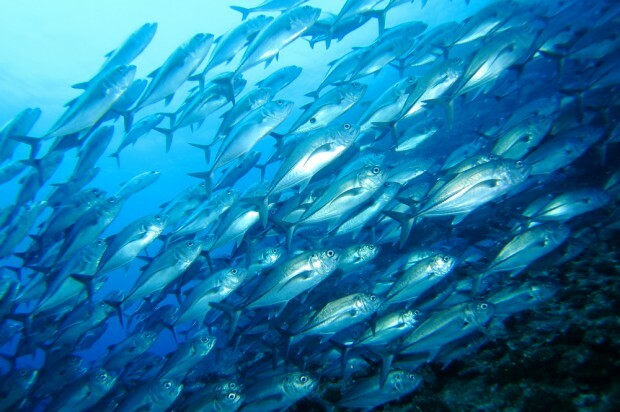 While citizens, lawmakers and environmental groups have tried to introduce reform to California’s fisheries, the PFMC, while seeking to federalize the fishery, is also making internal moves to clean house. In March, the Council unanimously voted to authorize more sustainable fishing gear that could replace deadly drift gillnets. The Council is looking at the use of deep-set buoy gear, which uses a hook-and-buoy system giving fishermen the ability to drop hooks as deep as 1,200 feet to catch swordfish. When fishermen see a buoy being submerged, it takes them just minutes to pull up the catch. If it’s not a swordfish, they can release the animal back into the water without having to kill it. Deep-set buoy gear was authorized for use on the East Coast nearly a decade ago and has been proven to be a success. “It has reduced bycatch and helped to revitalize the small boat commercial fishing fleet in Florida by offering a simple, affordable way to catch swordfish,” according to Pew Charitable Trusts. This gear catches West Coast swordfish during the day and has been tested extensively over the past five years by scientists and cooperating fishermen, with minimal bycatch of nontarget species and a consistent catch of swordfish. In fact, buoy gear boasts a 94 percent marketable catch rate, meaning almost all of what is caught can be kept and sold. Still, there is skepticism. “After beginning the process to authorize deep-set buoy gear, the Pacific Fishery Management Council changed course at its June meeting and decided buoy gear will be allowed only through a handful of experimental fishing permits,” Turtle Island said in a statement. The group is concerned that this decision effectively stalls the replacement of driftnets. Turtle Island’s Burdyshaw told AlterNet that “the limited approval … means there is no guarantee that deep-set buoy gear will eventually be authorized, and fishermen who want to use it could be hesitant to invest in the gear.” Turtle Island has called on PFMC to put the approval of deep-set buoy gear back on track at its upcoming meeting this month and to begin to phase out drift gillnets. For the marine animals swimming in California’s waters, the stalling of SB 1114 is not a good sign. And for some environmentalists, the actions taken by PFMC appear to be a sign of equivocating on the matter. But 2017 is another year, another legislative session and another chance for the public to speak up and demand change. In the meantime, if you don’t want the indiscriminate killing of whales, dolphins, sea turtles and seals on your conscience, ask your grocery seafood manager or restaurant server where their swordfish was caught before you buy it. If it came from California, chances are many other animals had to die for it as well, so try to make a more ethical choice.